Our first ever festival of short plays inspired by works of Shakespeare! We have collected ten-minute and one-act plays from writers all over the country that reimagine, reinterpret, and revise Shakespeare’s life and work for a weekend of exciting new theatre. We will be casting several short plays with unique requirements. Actors will potentially be cast in multiple roles and/or plays. On the second floor of Studios South above the Ceramic Studio. Take the elevator or stairwell next to the “Registration Office” and take the skywalk to the the hallway on the left (opposite building than Registration). WHAT: Please prepare one, one-minute contemporary or Shakespearean monologue, and be prepared for potential cold reading. 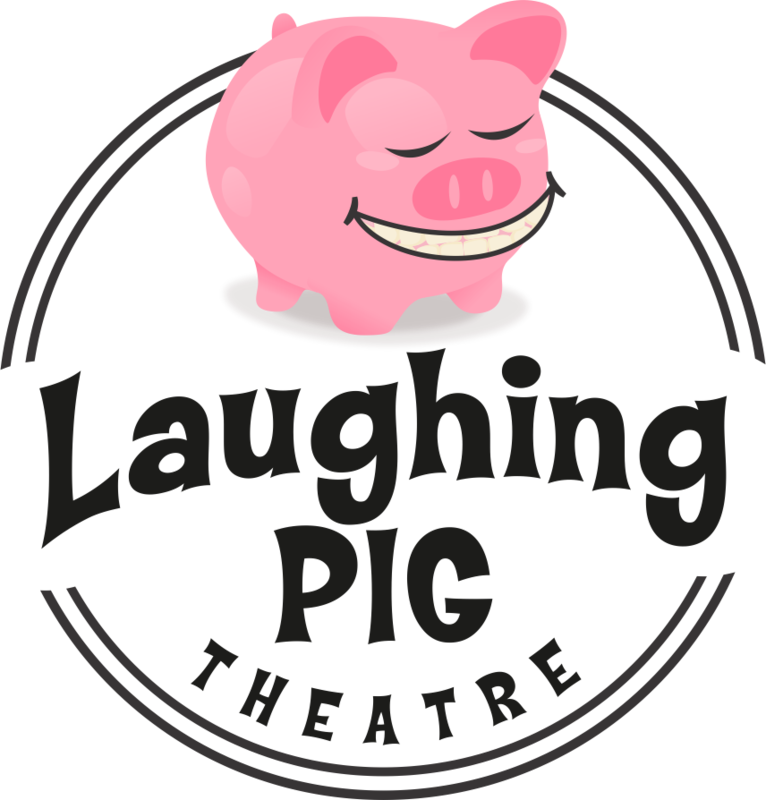 HOW: Make an appointment here, and please email a headshot and resume to laughing.pig.theatre@gmail.com. If cast, you will receive a small stipend. You may also be cast in multiple pieces. Performance dates include: December 7-9th. We look forward to seeing you at auditions. For any other questions, email us at laughing.pig.theatre@gmail.com. reasons to be pretty by Neil Labute opens September 28th and closes October 6th. Purchase your tickets today. Starring Casey Anderson as Greg, Taylor Moschetti as Steph, Clare Thompson as Carly, and Andre Johnson as Kent. About reasons to be pretty: When Greg makes a seemingly harmless comment about his girlfriend Steph’s “regular” looking face, the information gets back to Steph and sends their relationship over the deep end. Greg’s life spirals out of control when Steph leaves him, and he has to come to terms with what he has said. Greg’s best friend Kent is married to Steph’s best friend Carly, and when things start collapsing in Steph and Greg’s life, Carly and Kent are pulled in for the ride. We see Greg, Steph, Carly and Kent deal with the pressures of what it means to be ‘pretty’, and observe how the four friends manage the infidelity, betrayal and deceit that creeps into their lives. Tickets are $20 for evening performances or $15 for matinee. You cannot miss this show!